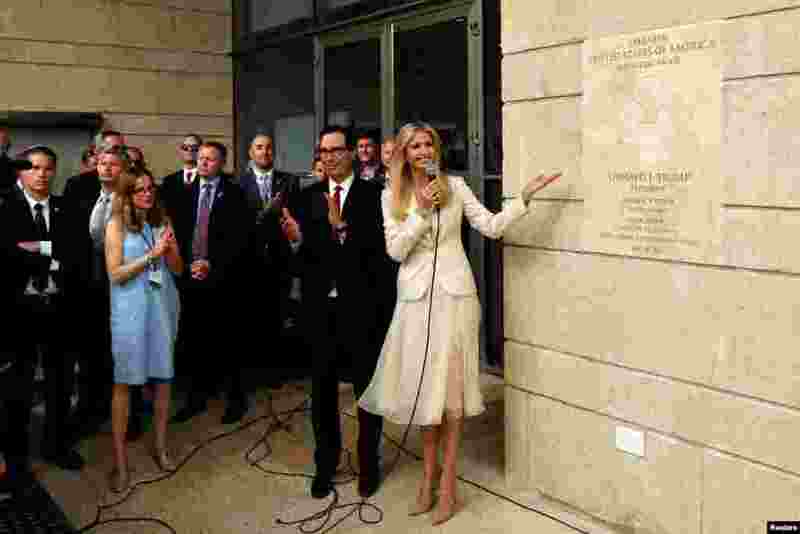 1 U.S President's daughter Ivanka Trump unveils an inauguration plaque as U.S. Treasury Secretary Steven Mnuchin claps during the opeing of the U.S. embassy in Jerusalem. 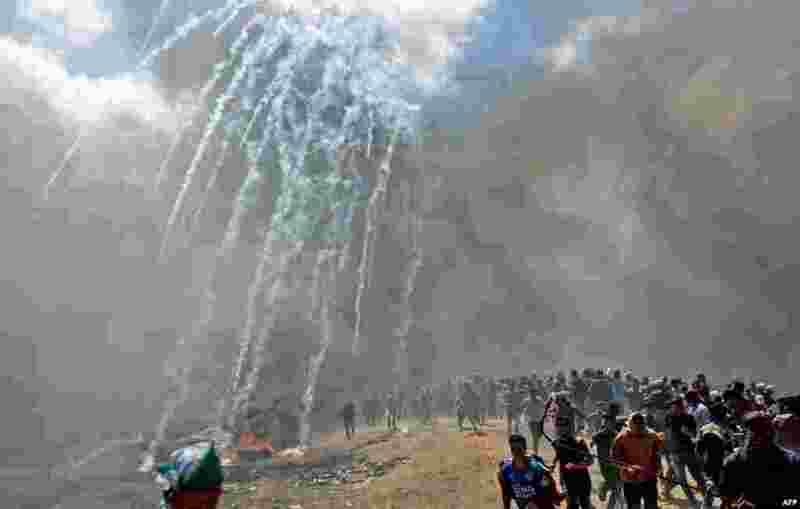 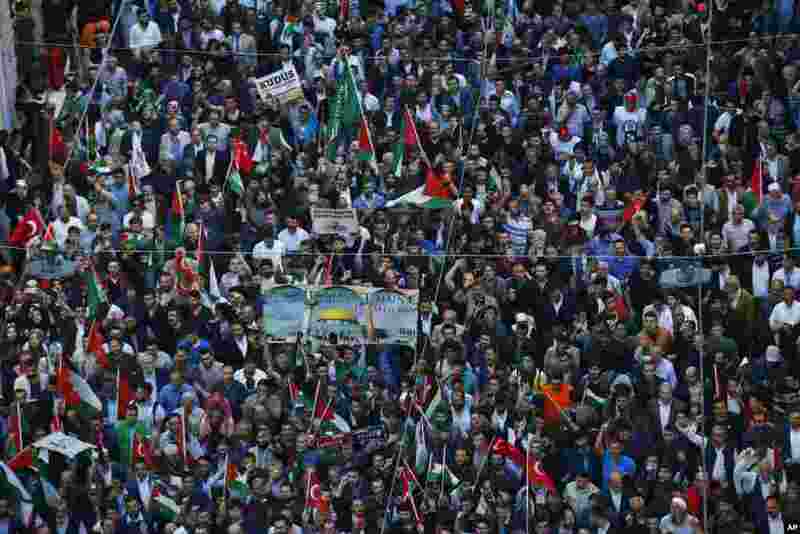 3 Protesters march during a demonstration in Istanbul, against the move of the U.S. embassy from Tel Aviv to Jerusalem, May 14, 2018. 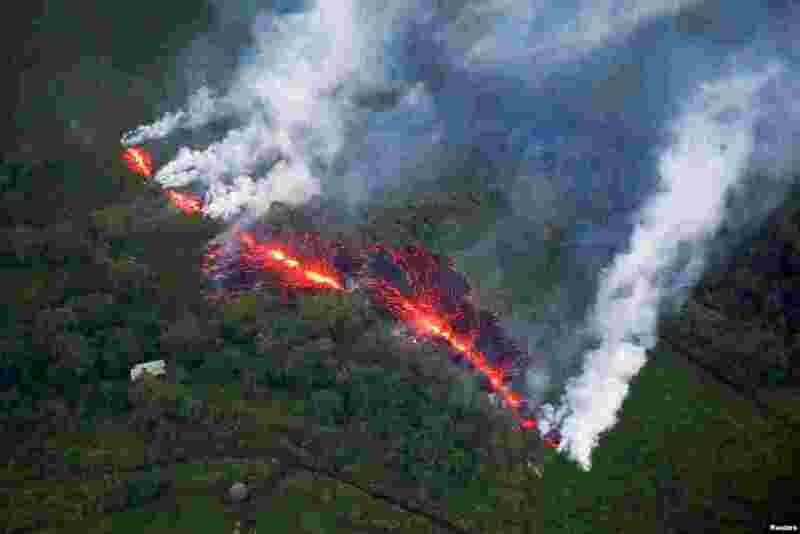 4 Lava erupts from a fissure east of the Leilani Estates subdivision during ongoing eruptions of the Kilauea Volcano in Hawaii, May 13, 2018.